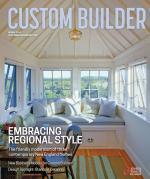 A compilation of green projects, ideas, and best practices for residential builders and remodelers. All surfaces of this home in Maine were selected for durability and low maintenance: unfinished wood, galvanized steel, and unfinished concrete. The design is by Caleb Johnson Studio, with construction by its contracting arm, Woodhull of Maine (Photo: Trent Bell). For the first time, industry professionals have the opportunity to be recognized across several awards programs for their green building accomplishments. KB Home's Primera Terra residential community in Playa Vista, Calif., and ActiveWest Builders' Meadow Ranch Development in Coeur d'Alene, Idaho, are among the projects recognized by the U.S. Green Building Council as 2011 LEED for Homes Award winners. Big, expensive custom homes don’t have to be wasteful of energy and other resources, as long as builders educate themselves and their clients about green features and technologies. A 2,400 square-foot home in Cupertino, Calif., is net-zero in energy, according to JetsonGreen.com.